Fresh thinking on prayer. A book on prayer that is both theological and practical, aiming to inspire readers about the value and privilege of prayer, with a wealth of fresh images and new light on biblical passages. 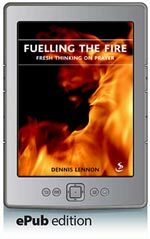 The book deals in a robust and original way the questions many Christians have about the life of prayer.